Local NSW State News, Meets, Cruises, Information & Talk. I bought a VRX Sportback for my wife at Klosters in Newcastle got a great deal.The whole process only took a couple of hours.Same as when I bought my Ralliart.The salesman (daniel) was very good couldn't do enough even down to fitting the numberplates himself to save time at delivery.The service boys are great, very helpfull with any technical enquiries.Even the spare parts guys are good! All in all a pleasant experience.I don't hesitate to reccommend them. Mrs wanted an SX Sedan, CVT, Fog Lamps, Mats and tinting. EOFYS are on and the 2010 MY11 is advertised as $20,990 so CVT should have been about $23,490 without haggling. 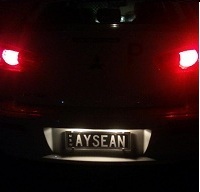 Tried Jason at Pennant Hills. First price he offered was over $25K, no Bluetooth so pre November 2010 build. Mrs said give me your best price with just the fogs and mats (will get aftermarket tinting), came down to $24K. Mrs told him what she was prepared to pay, having been quoted over the phone by another dealer. Jason says I’ll have to speak to the manager. Manger comes out and asks questions like is it a new car you have been quoted, yes was the reply. Manager says would like to keep the business but cannot match that price. So Mrs leaves. Goes to McGrath Liverpool and gets a 2010 November+ build SX Sedan , CVT for $22,438 with Fog Lamps & Mats. Just bought a my11 auto sx from Phil Gilbert at homebush for 23,490 which includes floor mats, tints, reverse sensors and scuff plates with free tank of petrol thrown in. Tested the usb connectivity with the sx in the showroom which seemed to have some trouble connecting but overall Satisfied with the service. Bought an electric MY08 VR 4dr sedan, 5spd m/t from Lander Mitsubishi in Blacktown in January 08. Chris is your car electric or electric blue? Hahaha sorry I didn't notice the mistake until after pressing submit. My apologies. Just a bit excited, my girlfriend just picked up the tail lights she bought me for Christmas (love shipping from america... ) and I'm a bit antsy to get them in. Sometimes I wished I did a little more research before buying. I honestly walked in one Sunday arvo with no real intentions to buy, just casual browsing, and walked out comitting to buy a car I had only skim researched for the past 2-3 days! I bought my Lancer from Lander Blacktown, from Nicholas - nice bloke. Previously when my friends had been car shopping I remembered it was the same guy that took the time to show us the various Suzuki/Mitsubishi options available when they were further up the road on Sunnyholt than they are today. I was VERY impressed by the whole team took care of everything, rush delivered and had everything sorted out within one and a half business days. I wandered in Sunday, I took delivery Tuesday afternoon including all finance done through the dealer (I hadn't planned on buying), organising my trade-in and all the associated paperwork. Plus the overpriced paint/fabric protection and window tinting which I'm sure was done by a 3rd party. I bought my baby from a pretty honest (or maybe that was his sales method) John from Illawarra Toyota Albion Park. Pretty annoyed when the guy said he'd make sure it was clean before he had it delivered to us, either they didn't clean it, or they really don't know what a vacuum cleaner is. 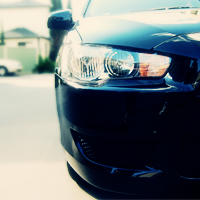 Either way, I love my lancer. Have just purchased from Lander @ Blacktown. Salesman, Ryan, was quite nice - no hassle. Loves his skiing. But who ever met a car dealer that doesn't love everything you love, know someone in every place you ever lived or whose mum works for the same company as you? Heartland Castle Hill - Chris basically told me my price was unreasonable. Ended up being the price I paid to Lander 30 minutes later. Sydney City Mitsubishi - Theo was expecting an easy sale. I do not like doing business with people that don't remember our conversation yesterday/make notes of what was discussed. He was also pushy in asking for irrelevant personal details of my life. McGrath Liverpool - Jamie very nice overall. Kept pushing a more expensive model with impractical features that I had stated I didn't want. Also brought in several different people to try and make the sale to me, reasonably high pressure. Buggered off over the road and left the showroom staff with no idea where my car keys were after he'd assessed trade in. *Side note - the used car area here was crap. The manager essentially abused me because I would not pay 26k (way above my stated budget) for a VR/VRX thing with a bonnet covered in stone chips. North Shore Mitsubishi - Nick and co extremely high pressure. Brought his colleague Jacky over to up the ante. I felt they were not being transparent, to the point of being deliberately misleading. Did not want to let me leave once they had the keys to my trade in. They probed my alibi like they worked for ASIO when I said I had an engagement that afternoon and would come back afterwards if the deal was right for me. I live 5 minutes from them, but will NOT even be servicing my car there.